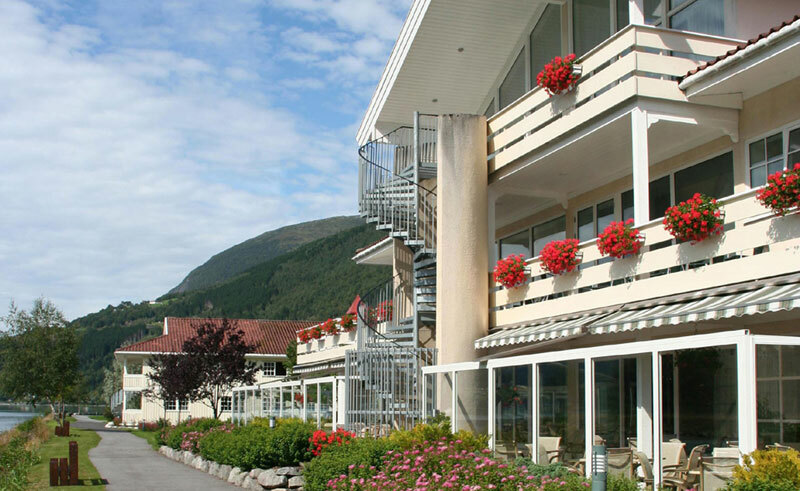 Hotel Loenfjord is a cosy and informal hotel with 137 rooms beautifully situated by the Loen River. Found near the fjord which gave the hotel its name and surrounded by breathtaking mountain scenery, the hotel is found near many of the area’s central attractions. A number of sparkling glaciers can be visited on foot, by boat or from the road, while the trout-rich rivers tempt fishing enthusiasts from all over the world. As the winter months descend, the area’s rugged mountain terrain becomes home to powder-strewn slopes and is well worth hiring a pair of skis to experience. The hotel offers two different restaurants, both served by talented chefs who seek to do their magic with the carefully selected ingredients. In the In Karjolen, the hotel’s main restaurant, a dinner buffet is served every night, while Fiskekroken acts as a cafe and a la carte restaurant in a cosy and comfortable dining room. There are four categories of room, and each of the 137 rooms is en suite with TV.